Acknowledge the matchmaker for every referral – sales lead. How Do You Make and Receive ‘Great’ Referrals? What is Your Business Process to Handle Sales Leads? Every referral should be contacted immediately – within hours! 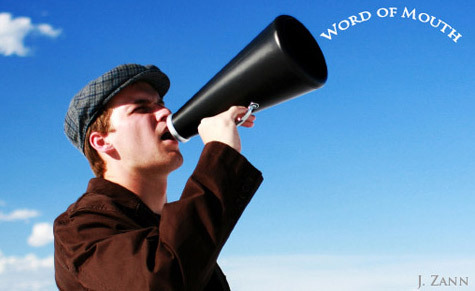 Word-of-mouth referrals are one of the most powerful and easiest ways to attract new customers. A good referral is akin to the art of matchmaking. Although you may have not watched Yente perform her matchmaking magic in Fiddle on the Roof, intrinsically you know when a referral is a great match for your business. Although I love the lyrics, Matchmaker, Matchmaker, make me a match. Find me a find. Catch me a catch… – realistically, all referrals will not be matches made in heaven. Handle each lead with kid gloves, and you will garner more referrals from your customers and people like me! I have given seven hot sales leads in 2013. I define a great sales lead or referral as one where I am asked to provide a referral based on my professional reputation and/or listening skills to identify leads for clients and contacts in my network. In each case, the person indicated that they were ready to make a purchase decision within two months. The following are practical matchmaking tips to guide you. Great referrals come from people who understand what you do and how you provide value. You can’t always prime or educate your contacts on your value proposition; however, you can help them to identify triggers and keywords of people who could benefit from your service. TIP: Encourage people to share a personal experience with you either by highlighting work that you have done for them or someone that you know and trust their opinion. When you provide a referral introduction, I find that it is best to send the information via email to ensure that the details are written down. A garbled message made from your cell phone can be misunderstood and not acted upon. This recently happened to a client of mine, seriously. Thank goodness for call display and his great memory; he recognized his customer’s home number! The more information provided – the better! Please include the company name, contact person and title, address, phone number, email address and website. It’s important to include an overview of the product or service that is required and other relevant information. Every sales lead will be contacted in a timely fashion. Regardless of how the referral was received (email, voicemail message, in person or telephone conversation) – the matchmaker should be sent a written thank you. When you choose not to acknowledge the referral you are indicating to the matchmaker that you are ungrateful. Perhaps the lead did not turn into a sale, regardless; it was proffered with good intentions. One hot sales lead that I gave this year was not followed up. I only learned of the inaction when I asked my client about the interaction; needless to say, I was mortified. You need to be smart and treat every referral as a hot sales lead. What should you do before ‘reaching out’ to the company? What do you typically do when you are prospecting? Take 20 minutes to research the opportunity before you make the connection. Visit their website. Do they have a social media presence? Does the individual have a profile on LinkedIn? Lastly, “Google” the company name and person’s name – you will be surprised what you can learn. What is your business process to track leads? If you use a customer relationship management (CRM) system ensure that the lead is entered into the system for tracking and follow-up purposes. If you don’t have a systematic process that documents your business workflow then you may wish to explore your options for a cloud-based software solution and of course, I can provide an excellent referral. Regardless of how you track leads, choose a ‘reminder process’ that works for you to ensure that all leads are contacted and then followed up with as required in a timely fashion. I have one client who diarizes each follow-up in his hard copy calendar while another uses his online calendar. Referrals from matchmakers should be a top priority. The first referral from a matchmaker is make or break. How you service this prospective customer will determine if you will earn additional referrals from your matchmaker. As business owners we try to be responsive to all inquiries and prospects sales leads, however, this is one lead that cannot fall through the cracks. Another type of TLC is what I call my, “Tender Loving Client” referrals. Last year, I had a client who was very excited to give me a lead – he wrote a long note and followed it up with a voicemail message. After speaking with the prospective client, I knew it was not be a solid lead. Out of respect to this client and in anticipation of more referral leads, I met with the prospect – that’s called being smart and respectful. I was wowed by a small business client that I gave one referral to earlier this year. The professionalism and feedback from my friend has earned him three additional referrals – two from me, and the other from his ‘delighted’ client. The following is a high-level look at their process which is executed with military precision. A personalized email is sent to the prospect and matchmaker which acknowledges receipt within minutes. (Typically, it is sent within one business hour due the monitoring of their email system. The email is not an auto-generated note sent from a CRM tool). The lead is entered into their customized CRM tool. A phone call is made by the sales person assigned to the lead on the same day or following morning. If the person is not reached, a phone message is left. A follow-up email is sent after the phone conversation or phone message. And… it would be unprofessional of me to disclose their proven referral system. They committed to what they would deliver in the first email and delivered on that commitment. Their close-looped process includes a survey and subsequent request for a referral. This client spends no money advertising or marketing his business in any traditional sense of the word. His business is based on repeat sales and word-of-mouth referrals. If you need a referral program to increase sales or have a question about how to attract more customers for your business, please contact me for a risk-free, no-obligation consultation. Please reserve your time now. When to Destroy Your Marketing Materials. Skip the Garbage Can; Please Recycle If You Can. Social Media Sales Strategy for B2B Businesses: Stop Selling. Start Engaging. Hiring a Business Coach or Consultant? Learn the Top “Must-Ask” Questions to Ensure They’re the Right Fit. Business Consultant or Business Coach? Four Differences to Help You Decide which is Right for You.